This is a list of Richmond Restaurants that opened, are coming soon or closed in 2015. If you hear of something that’s not listed leave it in the comments. 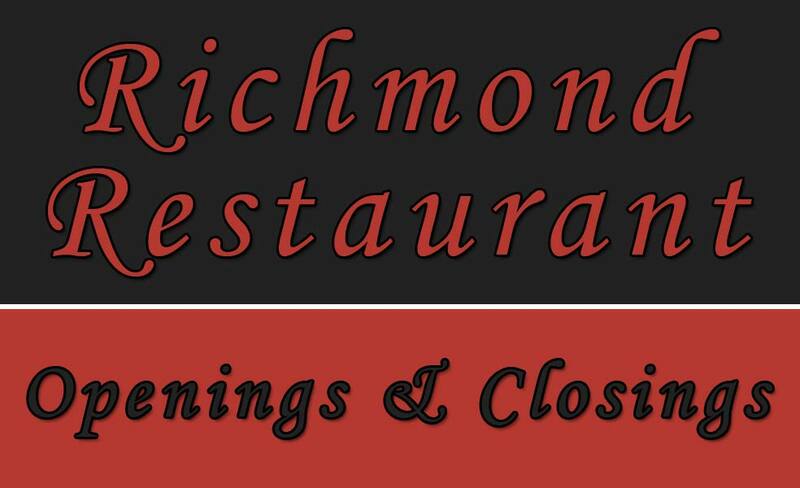 Also if you’re interested in knowing who owns three or more restaurants in the Richmond area view this post. Nomad Deli and Catering Co. If you see a restaurant in this section that has already opened please let me know in the comments below or send a tweet to @echadwilliams. Bigs BBQ – Grace St.
Coppola’s Deli – Main St. Thanks Sally. If you want to let me know when they open I’ll update the list. I heard about the one in Midlothian but where is the one in richmond going? It’s the same one Chris. You are correct. Thanks for the reminder. My family is in the restaurant industry so I either hear about them from pre-construction to completion, via friends in the media or from social media. I usually don’t put a link for coming soon unless they already have a website so I don’t have to go back later and switch a facebook page to a website. Rudino’s is open. and sadly is not as good as Coppola’s. I miss Coppola’s. zaxby’s is also opening in staples mill marketpalce and stonebridge as well. District 5 is also now open. Thanks for the reminder. I went the second night. Hey, Chad! Awesome resource you have. Feel free to check out http://www.cheersva.org/directory-search/ for RVA related bars, pubs, breweries, etc.